This stock may not be talked about much in the media, your stock broker may not have enough information on it, and it may not be the focus of any discussion with friends. But still, largely because it is Equitymaster that's recommending the company, you decide to play it safe and invest a tiny-winy portion of your money in it. You know, a very tiny amount, just in case. And then, silently the company continues to grow behind your back. As you grow older, the company also grows with you… moving up in value and price -- doubling, tripling, and quadrupling during this period. Is something like this really possible? In December 2008, Cera Sanitaryware Ltd. was a little known small cap stock available for just Rs 72.50 a share. Not many people expected it to grow the way it has, and therefore not many bothered to invest in it. But by cashing in on the increasing demand for stylish high-end bathroom fittings, and coming up with a business model that set it apart from all its competitors, the company succeeded in growing its business rapidly. As a result, its stock price increased from Rs 72.5 in Feb 2008 to Rs 3,465 in Feb 2018. And those who invested in Cera Sanitaryware in 2008 and held the stock till 2018 ended up making a whopping 4,680%. So considering one had invested just Rs 10,000 in it in 2008, it could have turned into Rs 478,000 by 2018! None of the above small caps were recommended by Equitymaster in 2008. We are just giving them as examples to show what's possible with small cap stocks in the long run. Later on in this letter, I will actually share with you some small cap stocks that WE recommended, and how well they've done. What Was The Common Thing In All These Small Companies That Made Them Deliver Such Profits? Though not many people knew, all these companies were already leaders in their own sub-niche or the small area of the industry they operated in. And thus, they were much better prepared than their peers for managing their growth in the years to come. So when the demand for their product grew, they were able to provide a much better service than all of their competitors and quickly established themselves as the go-to guy in their niche. It's true! Most of the companies you saw in the table above are pretty well known in India today. But at one time they were not so well known. They all started out small, established themselves as the leader in one main area where their expertise lay, and then diversified into other areas. So that is the kind of small companies you should look for and invest in as well. Of course, given the uncertain nature of small caps, we cannot and should not expect every small cap stock to be an out-and-out winner. But we know that small caps are big movers, and that the movement eventually shows in their stock prices. So assuming one manages to pick 5 'reliable' small cap stocks, even if just 3 out of the 5 manage to endure the market uncertainties and turn multi-baggers, it would be more than worth it! Did you ever find yourself thinking, "I wish I had invested in Titan while it was still young?" Or even in Pidilite for that matter? These were once-unknown-small companies that have grown rapidly in the last decade to become household names in India today. Through Hidden Treasure we're providing opportunities like that today. The stocks we reveal through Hidden Treasure are companies that are either under-researched or not covered by most of stock brokers and research firms. As far as we know, there's no other authentic source of LONG-TERM recommendations on such companies. And whatever else is available could be biased. I understand that small caps may not comprise a big portion of the portfolio. But that doesn't mean you should ignore them. We launched Hidden Treasure in February 2008 with an aim to provide profitable Small Cap recommendations. But "profitable" doesn't necessarily mean 300% returns in one week. We have always said and still say that one should look at small caps from the long-term perspective. The stocks we recommend through Hidden Treasure are strong companies and we recommend them not because we believe they will flourish in a month or two, but over 3 to 5 years. We reveal reliable small companies through Hidden Treasure as and when they're available at a bargain… giving you the opportunity to snap them up early and set yourself up for potentially huge gains as the company grows. "Hidden Treasure is a trusted service. My life has changed far better since subscribing to Hidden Treasure. I've made reasonable gains on many stocks recommended." "After subscribing to Hidden Treasure, I can do things in a more planned way. Life has become more systematic. And, I have made good profits over a period." "Hidden Treasure has added value in terms of exposing me to new opportunities available in the market. Brought to notice many new companies to me. In one of the stocks recommended by Hidden Treasure, I made 3 times money till date. It was a very good find. Hidden Treasure service is a great way of exploring new companies and understanding them. Many small cap shares were not even known to me earlier. However, after going through the Hidden Treasure I find I have missed lot of opportunities in my earlier years. I am now 65 years old and I have been in the market for the last 30 to 35 years! Now I am confident that more opportunities exist in small caps and midcaps rather than large caps. I am still holding many shares recommended by Hidden Treasure." However, considering the risks in the small cap space, you should realistically not expect each and every recommendation to be an out and out winner. Plus, whenever the market crashes, small caps are the first to bear the brunt of it. So these are some things you need to understand and acknowledge when you invest in small caps. But despite all these drawbacks, we believe our Hidden Treasure service has done quite well. After much deliberation, in-depth research and testing it across multiple factors… we found it to be an excellent opportunity. So we recommended it to a select group of subscribers , and monitored it constantly. Keeping them updated on its performance. Ensuring that our assumptions were right and the company was strong on its growth path. Our First Small Cap Stock recommendation generated returns of an impressive 93% return in 2 years 6 months. A quite satisfactory beginning to many more successful small cap picks in the years to come. We saw many more smart readers joining our small cap recommendation service and accessing our research. We saw our research team spending many more hours scrutinizing obscure but fundamentally strong small caps. We had teams visiting various cities across the country, meeting various management teams and recommending even more profitable small cap picks! And the same good trend continued in 2009 also… despite both these years witnessing some of the biggest market crashes. The year 2010, however, turned out to be tumultuous for the entire small cap index. And possibly for our members too. From our 2011 stock recommendations, we saw returns like 139% in 7 months, 100% in 1 year 1 month, 82% in 1 year 2 months, 241% in 3 years 3 months and 140% in 4 years. Further, from 2012 recommendations, stocks generated 123% in 3 months and 166% returns in 2 years to name a few. Coming to our 2013 recommendations, we have closed 6 positions with 5 generating triple-digit returns and 1 at a loss of 29%. And there is 1 open position which is currently in profit as well! Talking about our 2014 recommendations, 7 of them have already given returns such as 330% in 2 years, 106% in 2 years and 3 months, 105% in 2 years and 6 months, 126% in 11 months, 79% in 4 months, 133% in 1 year 3 months and 73% in 2 years and 4 months. And we had to close 1 at a loss of 25%. One more position was closed at no gain no loss. So the service has performed well over time and today, it's One Of Our Most Popular Services! So with thousands of subscribers and a solid track record… we can confidently say that our research process works! "Before subscribing to Hidden Treasure, my investments were based on business magazines and channels. But I wanted to get actuals facts and figures before making investments. Hidden Treasure has been a good decision-making tool for investments based on long term trends instead of market favourites. Most of the companies that I have invested in, have given me good returns if I hold them for at least 2 years despite the current market dynamics." But mind you, not all small cap stocks will be profitable! However, the most important thing is that even if 3 out of every 5 small caps eventually manage to endure the market uncertainties and turn multi-baggers, it will be well worth it! And that is what we want to guide you towards through our Hidden Treasure service. It's for this reason that Hidden Treasure has been One Of Our MOST POPULAR services over the last couple of years. See, the usual price of Hidden Treasure is Rs 6,000 per year. But for the next few days, you can get Hidden Treasure at More than 50% Off… or Just Rs 2,950 for a One Year Subscription. And then, there's also a 30-day, 100% refund policy on this offer. So, you can sign up at this price and test-drive Hidden Treasure for a full 30 days. If you don't like it, get in touch with us before the 31st day, and we'll refund the entire fee you paid. That's a promise! But you must act quickly. This offer will close soon, and then you might have to pay the FULL price to sign up for Hidden Treasure. By Subscribing to Hidden Treasure. . .
Once every month, we will notify you of an exciting small cap opportunity through our monthly Hidden Treasure report. The report we send will tell why we think a stock could be a good buy at that point in time or at a lower price later, and it will also clearly explain rationale of investing in that company. As you will know, good reliable small companies are scarce. It takes a lot of time and research to find them. Equitymaster analysts go through many more hoops to find the few small cap gems that exist. This includes company visits to various cities every month to make sure we're accurate in our predictions. Since it's OUR reputation at stake here, every recommendation from us is preceded by a management meeting or interaction. Further, every month we publish the list of our Top Small cap stocks you could consider buying at that point. This report will cover all the stocks which we have recommended under Hidden Treasure but haven't reached their target yet… i.e. Stocks we have an Open Position in. It gets published every month, and provides details on how the stock has been performing since it was recommended…the target price we are moving towards, and whether we maintain our initial view on the stock. This report is extremely vital for our subscribers it helps them understand the reason behind Richa's decision to recommend a hold or sell on a certain small cap stock and gives them an update on how the stocks have been performing. Richa does not believe in recommending a small cap stock and then just forgetting about it. Every recommendation made under Hidden Treasure is tracked continuously till Richa thinks it's time to sell and take profits. If there is anything crucial about the stock that the you need to know, Richa will send out Special Alerts directly to your inbox. Once you subscribe to Hidden Treasure, you will get access to all issues and recommendations of Hidden Treasure shared in the past. Any time, any day, you can log onto the website… read every report, every newsletter issue, review all the recommendations, or report a concern about your membership. Now, you can access Equitymaster on your smartphone through our Mobile Apps as well. Through the app, you can access the latest research reports, stock updates, all our Free e-newsletters, all other subscriber features…on the go! If you ever have questions about your membership, simply send our customer service team an email. They will get back to you at the earliest and walk you through whatever you need. Why You Can Trust Us To Deliver . . .
We've been in this industry for a LONG time. In fact, we were the first Indian entity in the finance domain to venture onto the Internet. And now, we have completed over 22 years online. Today we have over 1,764,790 readers from 72 countries worldwide who trust us! But at the same time, we are NOT stock brokers. We don't gain anything even if you buy the stocks we recommend. However, almost all of our income comes from the subscription fee we charge on our stock recommendation services. And so it's extremely important to us that the stocks we recommended make our subscribers money. All our recommendations are supported by thorough research - we list out the reasons to buy and also the investment concerns that we foresee. We travel far and wide to meet companies we research. Only the ones that qualify our stringent parameters are recommended. For each stock, we clearly state the rationale behind selecting that stock, the maximum buy price, the target price and also the time horizon for achieving the same. And finally, because we meet managements and ask tough questions, conduct due diligence and focus on margin of safety, we are able to recommend good quality businesses and high return stocks. "I am member of Equitymaster since 2008. Time & again they have provided unbiased reports in all market conditions. Their reports always ensure that we investors take an informed decision with rationale thinking rather than being swayed away with the market sentiments." Accurate More Often Than Not . . .
You see, most investors take the return on stock investment to be the key yardstick while deciding whether or not to buy a stock. But legendary investors like Benjamin Graham and Warren Buffett have always maintained that 'evaluation of risks' should be given as much importance as 'estimation of returns'. Our research team has developed a risk assessment tool - Equitymaster Risk Matrix® or ERM® which helps quantify the risk attached to a stock. The �ERM® is an integral part of our stock selection process. You see no two large, mid or small cap companies have exactly the same degree of risk. Even if they operate in the same sector, their business dynamics, managements and valuations are different. That's why it is important to evaluate the risk involved in each case separately. Now the ERM® is a matrix designed to evaluate the key risks attached to a business, its financial history and its management. It ranks not just the company but also the sector in which it operates based on its relative risk profile. How the ERM® Works For Our Subscribers. . . When markets were at their nervous best in late 2008 and early 2009, our Buy recommendations on Page Industries, eClerx, and KPIT Cummins were backed by our confidence in the low risk profile of these companies as shown by our risk matrix. As expected, these stocks went on to generate huge returns. Over the years, this original risk matrix has been refined further into the ERM® we have today. Many a time, the ERM® not just helps with risk profiling, but also in picking the best stocks to recommend to our subscribers at any given time. It lets us eliminate the 'bad stocks', so that we recommend only the 'quality businesses'. Given the complex operating environment that Indian businesses are aspiring to be a part of, we believe the ERM® can offer immense value to our subscribers who are seeking to maximize their long term returns without taking on too much risk. "I am very satisfied with the services offered by Equitymaster. If I have to pick one very positive thing than that would be unbiased recommendations on stocks. The new tool of valuation using ERM® is very helpful. If I can ask for one specific intervention or better service, it would be when should one really book the loss, if we get some sort of an alert to really act on sharp declines that would be helpful to us." The key reason for our belief in the company was its prominent presence in the fast growing LED lighting space, where it is a market leader in India. The company had grown strongly in the past and its balance sheet also appeared good. However, despite our good expectations, the company failed to capitalise on the growth opportunity. In fact, it lost a major order from one of its key clients. It didn't help that the management chose to maintain silence on the several issues facing the company had been facing. As such, we recommended our subscribers to consider selling the stock, at a loss of 45% from our recommended price. But what these incidents have done is that they have made us even more careful now with respect to our Hidden Treasure recommendations. So like I said initially, you can't expect every small cap stock you invest in to be a winner. But as some of them succeed in enduring the ups and downs and turn multi-baggers, the gains could outweigh losses by a huge margin. Every year, we publish the latest and exhaustive data on Top 300 companies. Plus, a wealth of information on over 20 sectors, the Indian economy, mutual funds… all, in one place. This invaluable information serves as a ready-reckoner for any smart investor. Available in an easy-access PDF version, this Yearbook provides the latest data that could guide you towards making smarter investment decisions. Priced at Rs 750 normally, you will get latest Edition (pdf) right away… Absolutely Free! Now there is a very important thing you need to know while investing in stocks… And that is asset allocation. Asset allocation is the key to having a well diversified portfolio. It is what protects your investments and could lead to their growth irrespective of the changes in the market. A well diversified portfolio is one where your stocks are properly spread out across different market caps and different sectors. Our extremely popular asset allocation guide will guide you in understanding what is the right diversification for one's portfolio, so that losses can be minimized and small cap returns can be maximized. The allocation suggested will of course vary from person to person and is merely indicative in nature. For something that works best for you, we recommend you talk to your investment advisor. And you can get this guide absolutely FREE when you subscribe to Hidden Treasure now. The Portfolio Tracker is an online utility that helps you track all your equity and mutual fund investments in one place! It's online, and is available to you 24 hrs a day. You just have to enter the details of stocks or mutual funds owned by you ONCE… and Portfolio Tracker will show you what your entire portfolio is worth AT THAT MOMENT anytime you log into it. You can set your account to send you automatic end-of-week and end-of-month performance updates for all your portfolios. You can set up priced based alerts for all the stocks that you own (and also the stocks that don't own but only wish to track). But what makes the Portfolio Tracker the indispensable tool that it is are the "intelligent reports" that come along with it. You see, we at Equitymaster have spent a considerable amount of time trying to understand how the fund managers who invest for the long-term track and review their portfolios. And it is the relevant learnings from this exercise that we have translated into reports. So you can now also generate automated customized intelligent reports for your stocks or portfolio, to understand how a certain market event could affect them. We believe this feature is what sets Equitymaster's Portfolio Tracker apart from all the other trackers out there. And the Portfolio Tracker usually costs Rs 330 for a year. But by subscribing to Hidden Treasure, you get it absolutely FREE. What's more, the Portfolio Tracker can also be accessed on your mobile now. Yes! And you don't need to install anything on your mobile too. Just go to our website or App and access the Portfolio Tracker with ease. Vivek Kaul's Diary . .
Vivek Kaul is a noted columnist and writer who has been studying the Indian Economy, and particularly the evolution of money, for more than 10 years now. He has written a trilogy on the history of money and the evolution of the global financial system titled Easy Money. Vivek has traversed the length and breadth of India, giving lectures to students at IIM Bangalore, IIM Indore, TA Pai Institute of Management and the Alliance University (Bangalore. He has also taught at the ICFAI Business School in Hyderabad. Vivek's writings have appeared in the Daily News and Analysis(DNA), The Economic Times, The Times of India, Business Standard, Business Today, Business World, The Hindu , The Hindu Business Line and several other publications. And also on Rediff.com and Firstpost.com regularly. What's more, over 210,000 readers receive his e-letter every single day. We believe you will benefit greatly from listening to Vivek's perspective on different things and his style of explaining complex topics in an incredibly simple manner. And that's why The Vivek Kaul Diary is something you just shouldn't miss! You'll be glad to know that we now release a weekly email titled "Private Briefing". Private Briefing is direct line of communication between our premium members, and Rahul Goel, CEO, Equitymaster. Private Briefing offers an honest, transparent, and unbiased insight into what's happening in the Indian economy and the markets. And it also provides a wealth of insights into what's happening within Equitymaster and the big macro themes from India and the world that could guide you make potentially profitable decisions. The primary goal of Private Briefing is to connect the macro big picture to the aam investor's wallet. It will carry the house view of Equitymaster. It will stay true to the core principles of sensible investing but will also offer insights into the latest trends and ideas from the world of money. And You Can Get All This At More Than 50% Off. . .
A year's subscription to Hidden Treasure usually costs Rs 6,000. But if you act now, we will give you your Hidden Treasure subscription for Rs 2,950 only. This is More than 50% Off on the normal price! Seriously, Rs 2,950 is probably way less than what you spend on all the phone calls to your broker, the money you pay to watch the noise on your television, and all the newspapers and magazines you buy hoping to find good investment opportunities. And we strongly believe that none of these other things can provide you unbiased and reliable small cap recommendations like Hidden Treasure. Yes, with a subscription to Hidden Treasure, you can rest assured that whenever we come across little known, high potential small companies, we will notify you of them right away. "Initially I invested in two of the stocks recommended by you. It was unbelievable, the very first day I earned at least five times of the subscription I paid. As informed, I invest for long term benefits, especially as part of building a Corpus Fund before retirement." "Significant number of shares purchased on your recommendations have given me profit which were redeployed again on fresh recommendations made by you." If you remember, I told you before how uncovering hidden and reliable small caps is a very difficult task. You are first required to do back-breaking research on various companies in the small cap sphere. And then, also traverse the length and breadth of the country to meet with the people in charge personally. Richa Agarwal, one of our senior most Research Analysts, has been heading the Hidden Treasure since 2013. She and her team meet dozens of managements face to face every year. And this is after pouring through the data and details of hundreds of small companies. Having degrees in both finance as well as engineering has helped Richa greatly in identifying the most deserving candidates for Hidden Treasure and analyzing their business models and associated risks. 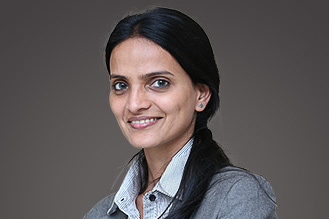 Coming to small businesses, Richa believes that paying a slight premium for wide-moat companies is better than looking for cheap bargains that sometimes turn out to be value-traps. And Equitymaster's primary rule is also safety first. So it is this thinking that has helped Richa, the editors before her and the entire Hidden Treasure team zero in on companies like Page Industries and e-Clerx much before they became well-known entities. And it has also made Hidden Treasure an extremely popular service with our subscribers. Small cap space is inherently volatile and more risky than other asset classes. Therefore, you need to understand this and plan your small cap investments wisely. 12 well researched and High Potential Small Cap Buy/Buy-at-a-Lower-Price recommendations over the year! Equitymaster's easy-access Stock Market Yearbook 2018 pdf edition Worth Rs 750, this is invaluable data on top 300 companies of India. A Chance To Lock-In This Discounted Price For As long as you are a subscriber! If you join Hidden Treasure now through this offer, you can lock in your subscription at the discounted rate of Rs 2,950 per year for life of this service! Yes! Your subscription will be covered under our No-Interruption-Auto-Renew Plan that allows you to stay subscribed to Hidden Treasure at this discounted price for as long as you wish. At the end of every year, acting on your standing instructions, we'll charge your card the discounted price of Rs 2,950 (instead of the normal price of Rs 6,000 or more) and automatically renew your subscription for another year. But you will always be in complete control of your Hidden Treasure subscription. We will send you a reminder email before renewing your subscription every year. If you don't wish to continue, you can just reply to it and let us know and we'll cancel your subscription right away. Or you can also reach out to our Customer Service at any time via email or phone and ask them to cancel. And Then Decide. . .
We had sent our subscribers a recommendation to invest in Page Industries on 15th January 2009. So far, this stock has given a return of 7,321% in 9 Years 2 months. And it's still not closed! So if one had invested just Rs 10,000 in this stock when we recommended it, the investment would be worth Rs 741,340 now and still going strong! This is the money-making potential of small caps that the Hidden Treasure wants to guide our subscribers towards! So the price of Hidden Treasure should not be an issue anymore. And like I already said, you can try Hidden Treasure without any risk for a full 30 days. If it turns out that you don't like it, just let us know before the 31st day and we'll refund the entire fee you paid. No questions asked! The volume of small cap shares traded is usually very low, so getting in early can make a difference. By subscribing to Hidden Treasure now, you get that advantage. Through this offer you can get 1 Year of Hidden Treasure for just Rs 2,950 instead of the usual Rs 6,000… which will be the case till for the next few days only. This offer will close soon.